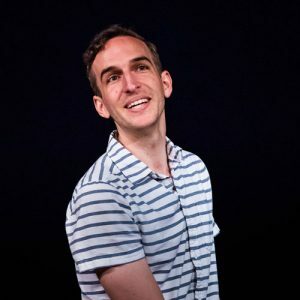 Nearly a decade after his last performance with his college improv team, Joey is back performing thanks to the WIT program and the amazing people he's met there. One could go all the way back to the now (Breems family) famous story of Joey giving real time stage direction during a preschool play when his class began singing too early and completely ruined Joey’s entrance. Fast forward a few years to Joey’s freshman year in undergrad when he joined his college improv team at Calvin College in Grand Rapids, Michigan. Joey spent nearly four years with the team performing mostly short-form improv on campus and around the region. After college, Joey moved to Pittsburgh with a group of friends and stopped doing improv. Fast forward again to 2016 when Joey decided to jump back into improv through WIT, making his way through the course curriculum. In D.C., Joey also performs with indie teams My White Mom and Conversion Therapy. Joey is originally from Southern California and thoroughly enjoys remarking to people in D.C. “just how different the pace of life is out there, you know?” The son of a school teacher and former pastor, Joey has a love for speaking in front of people, telling them what to do, and making them feel bad for doing it wrong.